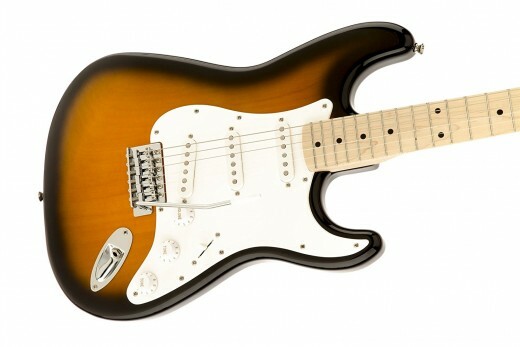 The Squier Affinity Stratocaster is one of the top guitars for beginners for under $200. A beginner looking for their first electric guitar has to sort through a huge amount of information in order to make a good decision. There is a lot to know about electric guitars, and someone who hasn’t yet played their first chord can’t be expected to figure it all out in the beginning. I’ve assembled a list of some of the best electric guitars for beginners to help you out. All of these instruments are made by guitar manufacturers you can trust, and they are designs that have proven themselves over the years. Best of all, they are very affordable, so you won’t end up spending too much on your first electric guitar. That’s important, because, remember, you’re still going to need an amp and accessories. Around three hundred dollars is a good ballpark figure for a quality starter electric guitar and amp setup. The guitar should be about two-thirds of that cost. On the other hand, you can spend a lot less. You may be tempted to choose a no-name brand from a big-box store, but you should think twice. Not only is a better guitar easier to learn on, and will provide greater inspiration for a newbie guitarist, but it will have a higher resale value if they suddenly decide they’d rather be a tuba player. In this article I’ve listed my top ten electric guitars for beginners. Remember that my list is based on my own opinions and experiences. I encourage you to use it as a starting point, do some research of your own and draw your own conclusions. At the time of this update every guitar here could be had for under $200, but please remember that prices and specs can change over time. Always check with the manufacturer for the most up-to-date information on their products. Here are ten great electric guitars, made by some of the top guitar brands for beginners. Hope you find this list helpful, and be sure to read on below for more thoughts on each instrument. Read on to learn more about each instrument! First on my list is the Epiphone Les Paul Special II. Epiphone is a company owned by Gibson, and therefore allowed to make recreations of famous Gibson designs. In this case we are talking about the Les Paul, which you might recognize in the hands of famous guitar players like Billy Gibbons, Slash and Zakk Wylde. Of course the Epiphone Les Paul Special II isn’t nearly like the Gibson Les Pauls used by famous musicians. It’s an affordable version intended for newbies, but it does have some of the same attributes of a real Gibson Les Paul, such as a rosewood fingerboard, a pair of hot humbuckers, a Tune-o-matic bridge with a stopbar tailpiece and a three-way pickup selector switch. 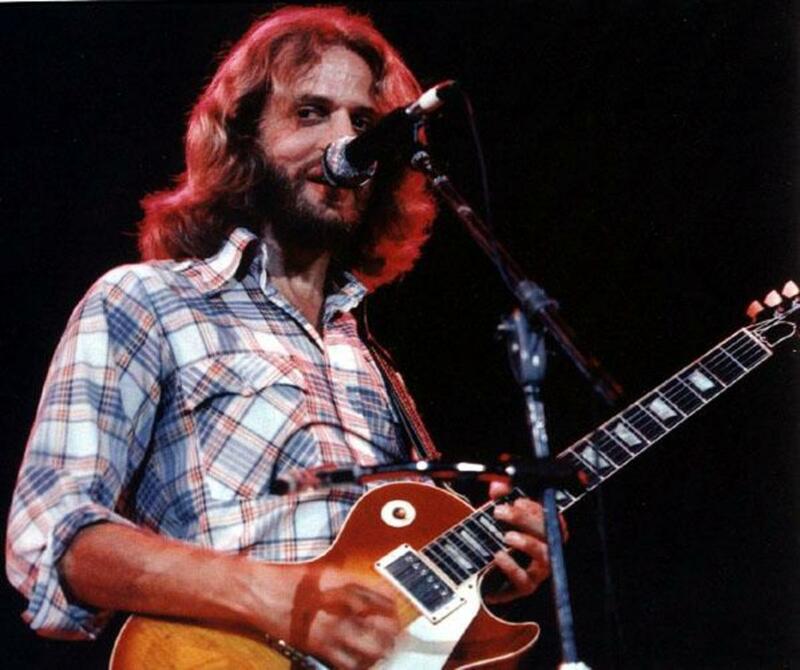 There are two reasons the Les Paul Special II made the first spot on my list. The first is sound. I think it sounds really impressive for a guitar in this price range. It’s a versatile guitar that can range from hard-driving rock to jazz, metal, blues and country. I think that’s important for new players who are still trying to figure out what types of music they are interested in playing. A simple but flexible guitar like the Les Paul Special II is a smart choice for beginners. It allows a newbie to experiment with many different styles of music and find their way. It also helps that this guitar sounds really good, which will inspire a new player to practice and play. The second reason is Epiphpone quality. Epiphone is a brand that makes some excellent instruments for beginners and intermediate players, but even advanced musicians appreciate their gear. I’ve always had positive experiences with their guitars – including several Les Pauls I’ve owned – and I don’t hesitate to recommend them. The Les Paul sound is classic rock ‘n’ roll, captured here in a budget package newbies can afford. Squier is a brand owned by Fender, and Squier is to Fender as Epiphone is to Gibson. That means Squier is allowed to build budget versions of classic Fender guitars, in this case the Stratocaster. You can rest assured that, even though the Squier brand name is on the headstock, everything has to live up to Fender's high standards. The Fender Stratocaster is a guitar that players like Jimi Hendrix and Eric Clapton helped to make famous. It has helped to form the landscape of music for decades. The Squier version is affordable for beginners while still offering many of the things that make the Stratocaster so amazing. The Strat has a different sound when compared to the Les Paul. It’s brighter, snappier and sounds a bit thinner. That's not a bad thing at all. That distinctive Strat sound is cherished by guitar players the world over. 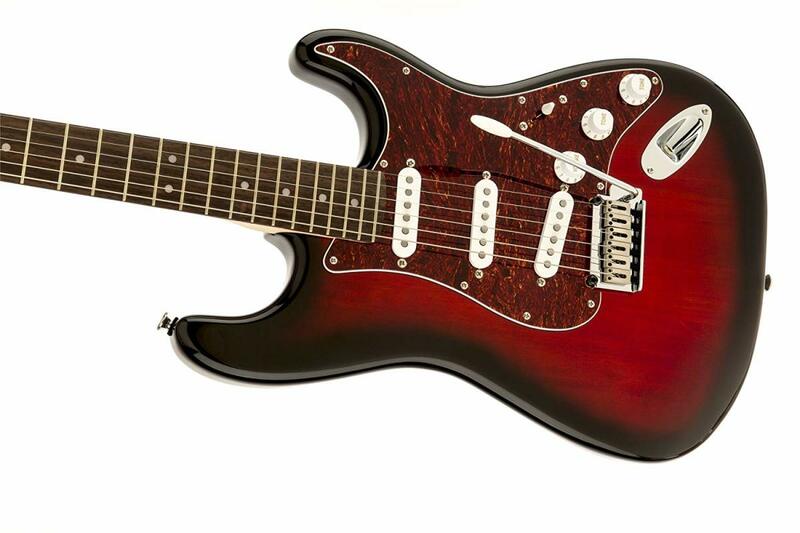 The Squier Affinity Strat has three single-coil pickups controlled by a 5-way switch, a vintage-style synchronized tremolo, an alder body with a maple neck and the choice of a maple or rosewood fingerboard. Generally, this is the same design as its Fender namesake, but of course made more affordable. While I have the Affinity Strat second on my list after the Les Paul Special, it is certainly a very narrow second place. Both brands offer excellent quality. However, I feel the three-pickup design of the Strat is best suited to rock, blues and country music. Serious wannabe hard rock and metal player will prefer the version of the Affinity Strat with a humbucker in the bridge position rather than the three-single-coil version. Whether you choose the Les Paul Special or Affinity Stratocaster, it is tough to do better for under $200. However, Squier delivers some great value at slightly higher price points as well. If you are a serious beginner with a little extra cash in your pocket, I recommend checking out the Squier Vintage Modified and Classic Vibe Series Strats. The Yamaha Pacifica is an outstanding choice for a beginner because of its quality and flexibility. Yamaha is a guitar company that excels at providing great gear for newbies, and I always recommend them. Both through their Pacifica electric guitar models and their FG-Series acoustic guitars are outstanding. I like this guitar for newbies because of the options it provides. With a humbucker and a pair of single coil pickups the Pacifica is capable of a wide array of different sounds, from metal to rock to country and blues. Beginners can learn what they like and don’t like about different guitar tones by experimenting with the different pickup combinations. The Pacifica PAC112J has an alder body with a bolt-on maple neck and a rosewood fingerboard. This is a classic tonewood profile and, though beginners may not understand why, it will yield good sounds. The vintage-style tremolo further allows new guitarists to experiment and discover the capabilities of the electric guitar. If you’ve looked at the Les Paul and Stratocaster above and just can’t make a decision between them, consider the Pacifica. Yamaha quality is outstanding, and this guitar offers a lot of bang for the buck. In my opinion, the Pacifica is somewhat of an underrated gem in the guitar world. It's a great guitar for a beginners, made by a company that knows how to make quality gear at budget prices. The Pacifica 112 comes in under our budget of $200, but if you are even tighter on cash you may want to check out its little brother, the Pacifica 012. Jackson is a guitar company known for metal, and their JS Series brings some of their legendary designs down to a price that newbies can afford. In fact, for beginners who know they want to play metal, the whole Jackson JS lineup is worth checking out. The JS Series is comprised of affordable versions of Jackson’s most epic designs, and while many are a bit over the $200 limit they are still great bargains for beginners. I highly recommend the JS-Series Jackson Dinky, a guitar model that does land within your $200 budget. It has a pretty arched-top basswood body, 24 frets with those cool classic Jackson sharkfin inlays, a pair of hot humbuckers and synchronized tremolo. I have to say that after thirty years as a guitarist I don’t handle a lot of inexpensive instruments that outright surprise me, but this guitar did. The one I got my hands on played and sounded like a more expensive guitar. I compare to my Schecter Omen, a guitar I think very highly of but costs a bit more. If you know you are going to play heavy music, the JS22 Dinky is a great choice. However, it's not a one-trick pony. Jackson may be synonymous with metal, but this is a good looking and flexible instrument that will appeal to any beginner. Ibanez is a guitar company known for instruments with thin necks, and for beginners that can make them a little easier to play. Players with small hands in particular may appreciate a neck that isn’t so fat, and allows for easier fretting of chords and notes. The GRX70QA is based off of Ibanez’s classic RG line, a series of guitars loved by metal and hard rock players for the past three decades. For that reason this is an excellent choice for beginners who are interested in heavy music and shredding. This guitar may be affordable, but it has what it takes under the hood. It features a poplar body with a bolt-on maple neck and a rosewood fingerboard. The pickups are a pair of hot Ibanez Infinity R humbuckers with an Infinty RS single coil between, all controlled via a five-way switch and one each volume and tone control. Beginners should be careful not to get wrapped up in image. While this guitar is certainly geared toward rock music, the GRX70QA is also a flexible instrument. And, because of its ease of play, it would serve a beginner well no matter what their musical interest. The Telecaster is another Fender classic made affordable through the Squier brand name. This is a guitar loved by country and rock players alike and associated with the familiar country twang. The Telecaster is a bit different from the Strat, not only in body style but also in that it has one fewer pickup, and is capable of a different array of sounds. Of course many veteran players love the sound of a Fender Telecaster, but beginners ought to be sure what they are getting into. This is not a guitar that is likely to please metalheads or hard rock fans, but for country and blues newbies it may be right up their alley. Strat or Telecaster? The choice is yours! The Stratocaster has more available sounds, and is slightly more suited to rock music. However, another thing to consider is that the Tele has a “hard tail” bridge rather than a tremolo bridge, and is therefore a bit easier for beginners to keep in tune. Another great option from Epiphone is the SG Special. This is the beginner’s version of the Gibson SG, another classic Gibson design that has helped to shape rock music over the decades. Think Angus Young from AC/DC or Tony Iommi of Black Sabbath! It too has some of the same basic components as a real SG, for a super reasonable price. The SG Special is quite similar to the LP Special, aside from the body shape. It has an okoume body and neck, rosewood fingerboard, a pair of humbuckers and a three-way pickup selector switch. Both guitars feature tune-o-matic bridges with stop-bar tailpieces, which means they’ll stay in tune well and not require a lot of adjustment. Les Paul Special or SG Special? Really, it’s a personal preference, and a new guitar player should simply choose whichever design they like the best. Either is a great choice for a beginning guitar player, especially one interested in rock music. The EC-10 features a pretty single-cutaway body with a pair of humbucking pickups. It is an offshoot of the ESP-LTD EC lineup, which includes some amazing guitars. This is the littlest EC of the bunch, and a good option for beginners. Personally, I like the ESP-LTD EC series a whole lot. I think it is one of the top alternatives to a Gibson Les Paul design, and while it is similar it has its own special vibe. It’s got a basswood body and a maple beck, so it will sound slightly brighter than the LP Special above. It’s tough choice between this guitar and the Epiphone LP Special II if you are looking for a Les Paul-style single-cutaway design. I think the Epi has a slight edge, but you both are great beginner’s guitars. Choose the one you find most inspiring! Next on this top 10 list of best electric guitars for beginners is the Sterling by Music Man SUB Silo3. This is another unique and versatile guitar, one with a double-cutaway design, a single humbucker and two single coils. This is an impressive guitar for this price range, and you ought to be able to grab one for under $200 if you look around a bit. Sterling is the budget version of Music Man, one of the finest guitar brands out there. Like the Yamaha Pacifica, this guitar presents a bunch of different sounds for a beginner to experiment with. And, like the Yamaha, it gets high marks for its construction, sound and value. 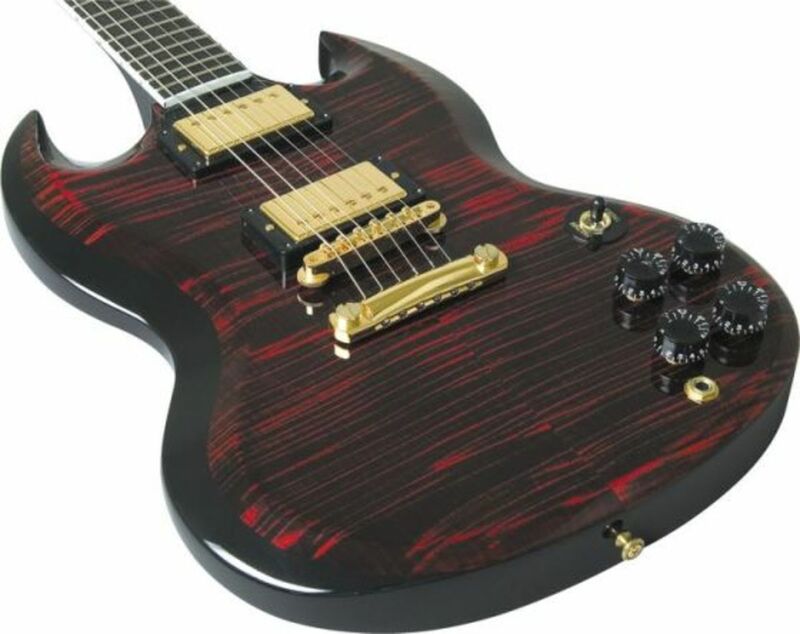 It’s also a guitar with a unique look, with its body shape and 4x2 headstock design. If you are going to be a guitar player you'll have to learn how to march to the beat of your own drummer soon enough. May as well start being unique from the beginning! Here’s another metal guitar with a very sharp design. The Dean ML is a guitar made famous by the late Darrell Abbott of Pantera and Damageplan. It’s a cool modified V design that really stands out in a crowd – even a crowd of other metal guitars. Truthfully, I don’t usually recommend pointy-shape guitars for beginners, but the MLX comes in at such an affordable price I think it is well worth a look. It features a basswood body with a bolt-on maple neck and a 22-fret rosewood fingerboard. Two DMT Design humbuckers are controlled by two volume controls, one tone control and a three-way selector switch. I try to cover all the bases when I recommend guitars, and this is one that certainly will appeal to metal players looking to make a statement. The Ibanez and Jackson guitars above are both great for metal, but they look tame compared to the MLX. If you want to take a few steps of the beaten path, this may be the direction for you. The Epiphone Les Paul Special II is an awesome choice for a beginner! You can see from the descriptions above that some models are geared more toward certain styles of music. However, there is no wrong answer here. So which guitar should you pick? In my opinion, the best all-around choice for beginners is the Epiphone Les Paul Special II. It's a solid instrument with some excellent tonal options, and will serve a newbie well for years to come. My second choice (but only barely) would be the Squier Affinity Strat, and if you play country or blues it may be your top choice. And, as I said above, if you can’t make a choice between them give the Yamaha Pacifica a good look! Wannabe metal players should check out the Ibanez and the Jackson JS Series. These are affordable guitars for beginners based on some of the most legendary instruments out there. Those are my picks. Remember this is all based on my opinion. It’s your opinion that matters, so get out there are do your own research and decide for yourself. If you've come to a different conclusion, don’t sweat it too much. As a beginner you should choose the guitar that most inspires you to want to play. All of these guitars are good choices for new guitar players and make excellent starter guitars. Hopefully you have many guitars in your future, but your first guitar will always have a place in your heart, even if you go on to become a superstar guitar god some day. The most important thing is to have fun! And, of course, to practice. Which is the best electric guitar for beginners for under $200? Should a beginner use a guitar with a Floyd Rose Tremolo? I usually recommend that beginners start out on guitars that have simple bridges such as a Tune-o-Matic or Fender-style Tremolo. However, some new players know they want to play metal or some other style that requires a Floyd Rose. 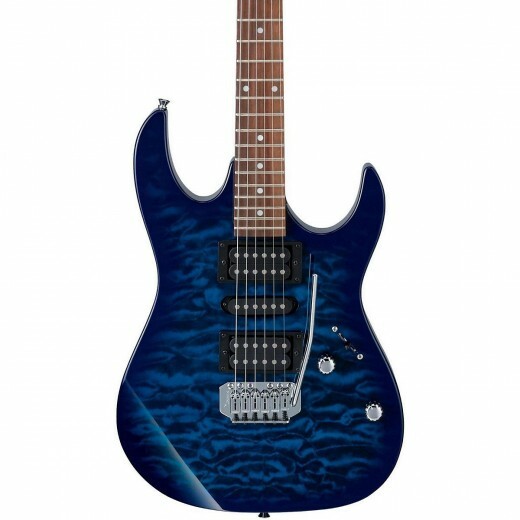 For those newbies, I see no point in starting out on a guitar they don't like, so there is nothing wrong with choosing a guitar with a Floyd Rose. Just be aware that it will take a little adjustment from time to time, and until you learn to do it yourself, you may need a little help from a guitar tech at a guitar shop. @Brendan - Glad you love the guitar! A friend of mine had that Jackson and I thought it was an excellent instrument for the money. As a beginner guitarist (with other music experience, I've played the cello for 9 years), I opted with the Jackson and I love it. Sure, The trem isn't perfect, but at this level, what is, and it really felt the best out of all the guitars here that I tested out. I love the fast neck, more than the Ibanez that my friend owns, all 24 frets, and the slightly smaller strat shape. Great guitar.